It is the way of the world that things you once took for granted can disappear for quite a time before you even realise they’ve gone; like television programmes about DIY (I wonder what Handy Andy is up to these days? ), or your youth. Obviously I miss the latter rather more than the former. Good bread in restaurants is another. Where did it go? Have we all become so gluten and carb “intolerant” that the complimentary basket of yeasted goodness that precedes any proper meal is no longer de rigueur? At Finbarr’s, just a short tramp downhill from Durham train station on the west side of the viaduct, they have very good bread. It comes in a basket and is served with decent unsalted butter. There are several other things in Finbarr’s which you tend not to see much of these days, like properly clothed tables, real candles, and staff in neat uniforms. This is, in short, a proper restaurant, and there are few enough of those around in 2016. Particularly in Durham. The city is fast running out of decent places to eat. I’m still mourning the demise of Bistro 21, which proudly held my Best Bistro in the North East award and a 5-star window sticker until Terry Laybourne closed it to focus on his Newcastle ventures. 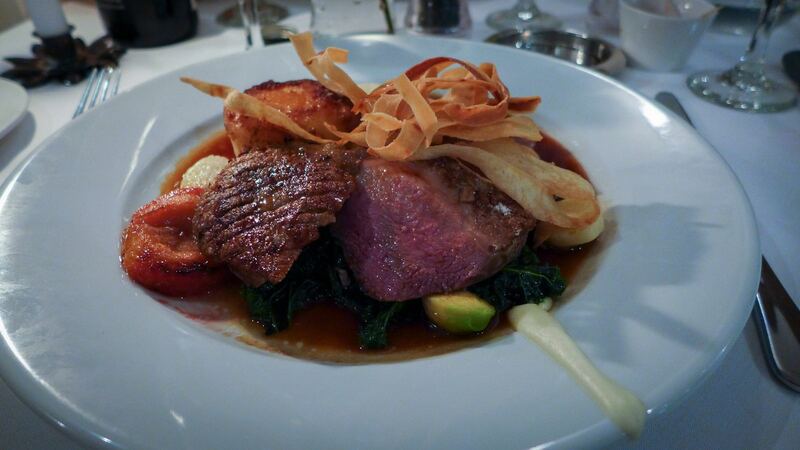 That place really is missed in Durham; less so, in my humble view, is Oldfields, which permanently closed its doors a few weeks after Bistro 21 and which I judged worthy of only a single star. Aside from the excellent DH1, which I heartily recommend, I was left with only one proper restaurant still to visit: Finbarr’s. The menu on the Friday evening of our meal was full of crowd-pleasers and classics. Starters included a soufflé, some seared scallops and mushrooms on toast. As well as steaks, mains included grilled halibut and - another thing you don’t see a lot of anymore - Beef Wellington. Sensible French technique with the odd Asian inflection appeared to be the order of the day, or “modern with international influences” as it will say in the food guides. A set menu of three courses for £22 looked like good value, but the more interesting dishes were on the à la carte. 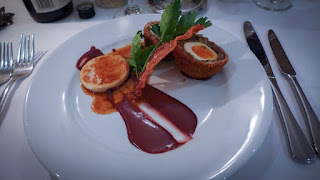 In my book some dishes simply demand to be ordered, and a haggis scotch egg is one of these. Finbarr’s version was a triumph of crisp crumb, punchily seasoned sheep innards and a yielding egg. It was served with an unadvertised swoosh of claret-hued black pudding purée and a slice of crisped streaky bacon. I’d been worried about whether the kitchen could cope with such a large and varied menu (something that lets down so many north east restaurants), particularly as Mrs Diner had ordered the other extreme — tuna tartare with crisp wontons, but both dishes put our minds at rest. 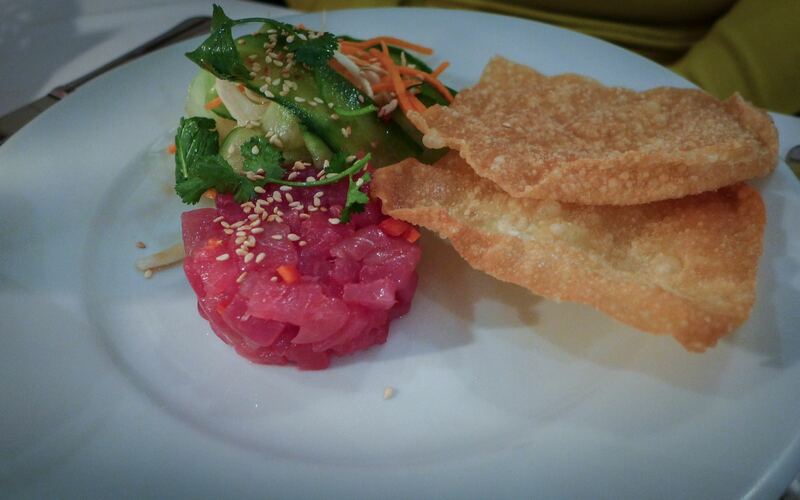 The tuna had great texture and wore its strong sesame flavour well. Alongside starched linens and nice bread, my list of things that should happen more often in restaurants would include properly reduced sauces. Both our main courses excelled in this department. My Goosnargh duck was swimming in a quite delicious ointment, the result of bringing a good veal stock down slowly over many hours; proof that in some cases, less really is more. There were other fine things on this plate: a fondant potato was butter incarnate, sprouts and kale were vibrantly underdone and spiced plum was the much-needed cleaver through all the richness. Stirring stuff. The Madeira sauce that came with Mrs Diner’s Beef Wellington was the high point of a dish that was almost, but not quite, victorious. 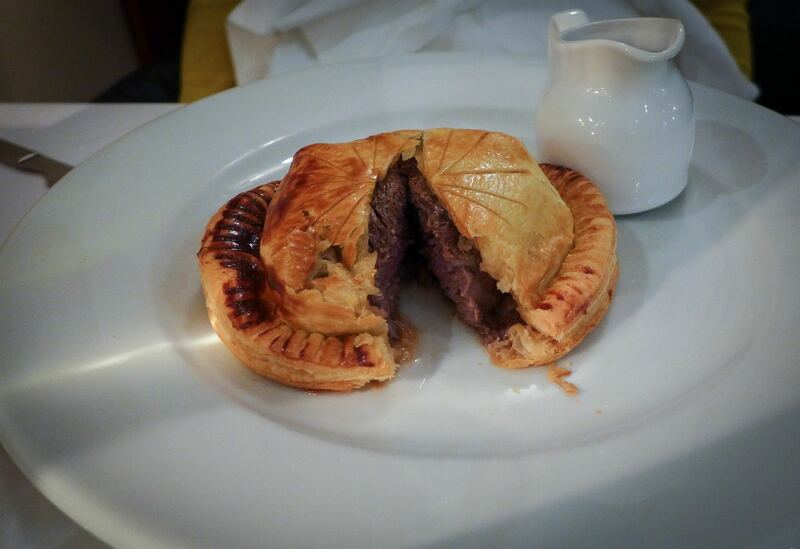 Although the pastry was fine and the fillet had good flavour, this was a slightly under-committed version of the classic. The beef had not been wrapped in a crêpe, leading inevitably to sog, and there was no discernible use of pâté, scant trace of duxelles, and, unfortunately, the beef was slightly over. A valiant effort, but ultimately not the real deal. 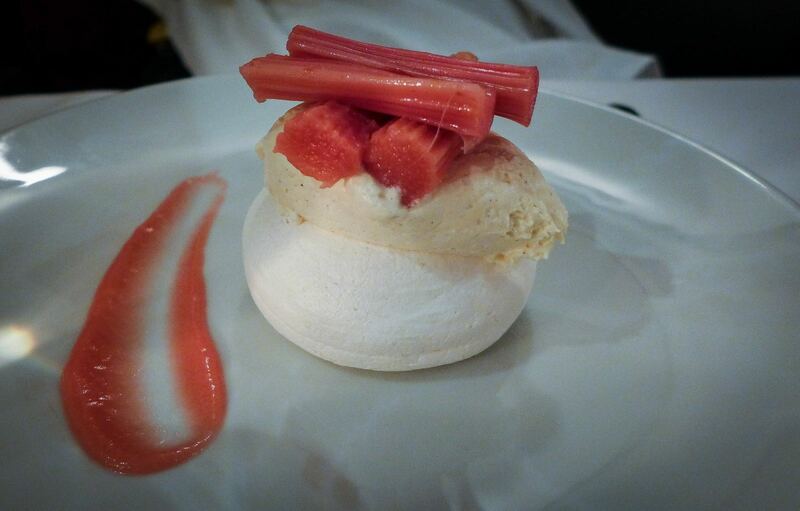 Mrs Diner’s dessert of pavlova with new season’s forced rhubarb was a pretty orb of well-made meringue perked up by a sensitively prepared portion of one of Yorkshire’s finest exports. 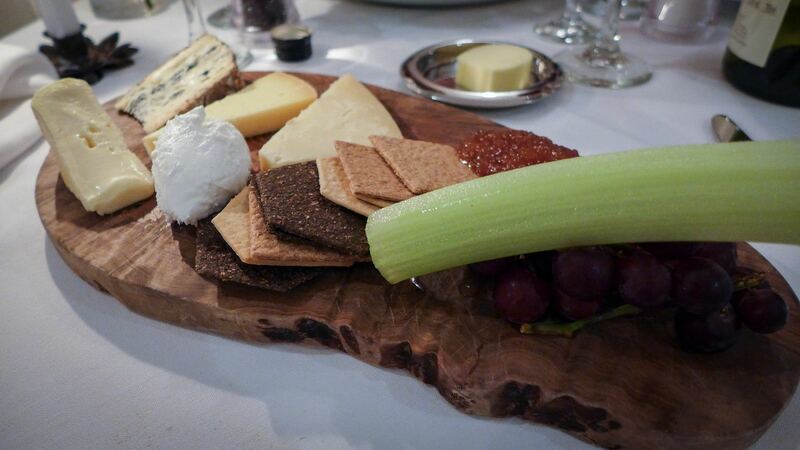 For me, a cheeseboard featuring some of my local favourites was impossible to resist. I have tasted all of Mordon Blue, Reiver and Ribblesdale Goat in better (i.e. less cold) condition, but they are all still worthy of anyone’s attention. And bonus points to Finbarr’s for serving a delicious glass of Pineau de Charentes with these, rather than the more obvious port. Indeed, this was the second excellent wine we drank from a considerable list of some 80-odd labels. Some, like Cloudy Bay or Château Musar, are as crowd-pleasing as the food they might accompany. A Pinot Noir by the first lady of New Zealand wine Jane Hunter was every bit as silky as it should have been — its rich fruit and balanced acidity did wonders for the duck. Mark-ups of around twice the high street price are reasonable. Service, from a small army of fresh-faced things in white shirts was efficient and prompt, other than a bit of an issue securing a bill (£118 including service, seeing as you ask). That delay was partly because business was swift and tables were being turned as we shuffled out in the direction of the station. 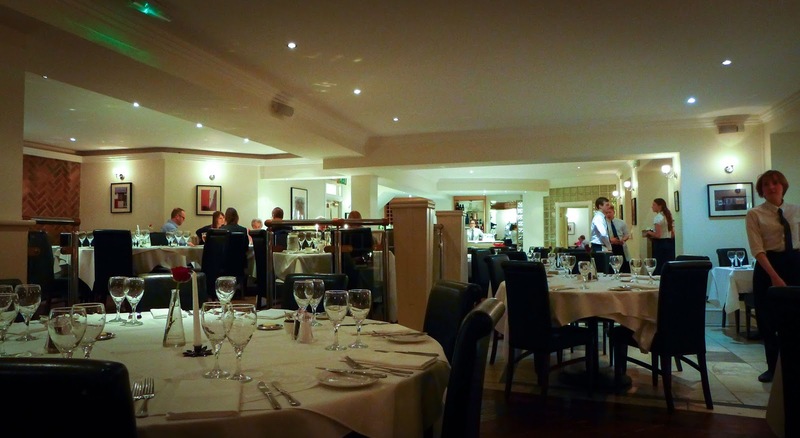 The restaurant manager confirmed that things have busied up since the demise of the other two restaurants. I’m happy to confirm that this hasn’t happened merely by default. We found some really good cooking at Finbarr’s. The mix of locals and academic types who filled the room are lucky to have it. And so is Durham. Agree entirely with this reviewer, sadly we hear Finbarr's will be taking over the building which was Bistro 21 not such a nice walk to and although the building is ok it lacks the outside sitting area that Finbarr's has. I have always thought Finbarr's had the edge on the Bistro. Durham needs more independent restaurants and less of the chains. The Lebonese is good though especially if you go with a group of mates. DH1 is now the only proper restaurant in Durham,which is a shame. 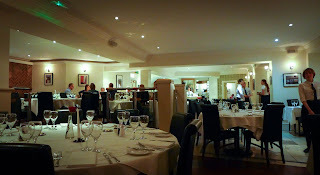 Whilst the food is excellent, the ambience is non existant, and when paying top dollar, everything has to be right. Finbarr's had the lot and will be sorely missed. Lebaneat is is very good restaurant, just don't order a takeaway; everything wrapped in foil means everything is soggy by the time it's delvered! Went recently for Sunday lunch and I thought it very poor. I had pork which was tough and there were no accompaniments offered like apple sauce. 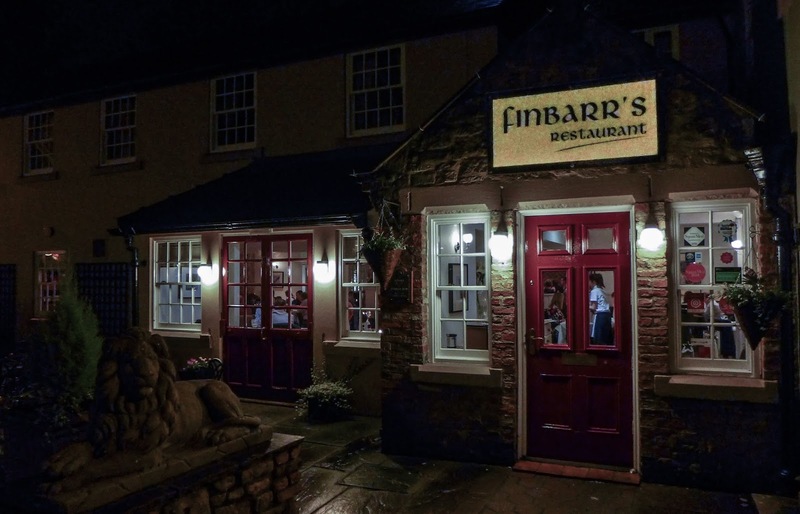 Finbarr’s is going from strength to strength since the move to Aykley Heads. If you haven’t been, I recommend a return visit. They’ve really raised their game.